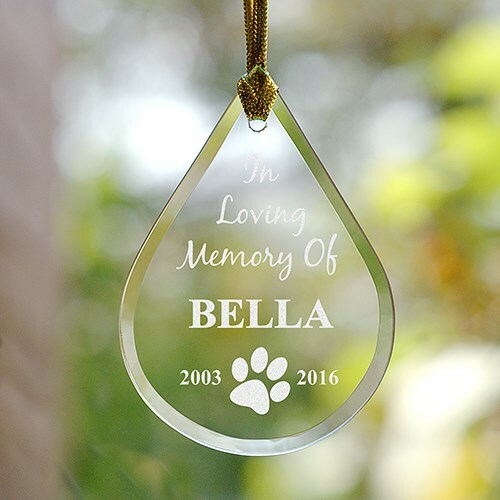 Memorialize your beloved pet with an engraved pet memorial tear drop glass ornament. This memorial ornament will be engraved with your pet's name, birth year, and at rest year. A wonderful way for your pet's memory to live on year after year during the holiday season.